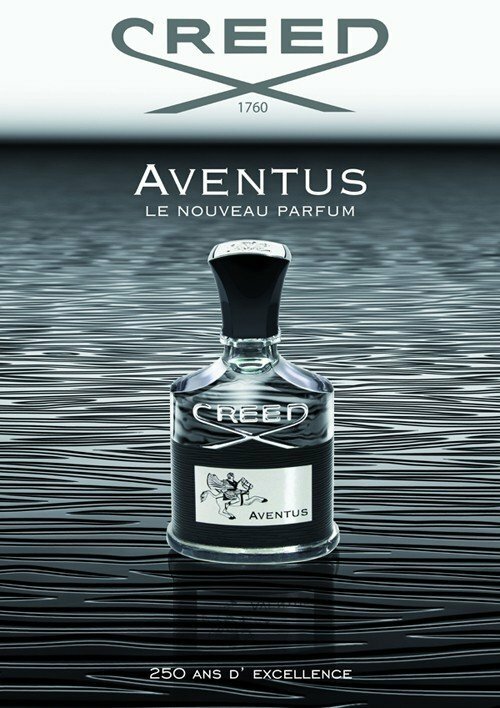 Aventus (Eau de Parfum) is a popular perfume by Creed for men and was released in 2010. The scent is fruity-fresh. It is still in production. Unique without end, up to now (!) no equal opponent has been able to beat the water, all Dupes/Klone/Imitators/Nacheiferer (the transitions are fluent) have been able to achieve this uniqueness and unmistakability in this fragrance segment. Mostly too penetrating, citrus-heavy, chemical-smoky, musty-synthetic and all in all too unround these were. But I don't want to distract, especially since this comparison may limp. Aventus is a good, for a newbie even original fragrance, which nevertheless does not trigger any storms of enthusiasm in my nose. This may be because I don't like pineapples very much even as fruit and that the only person who ever spoke to me about Aventus was actually my mother ... but in the sense of "You've put on a little thick today!" But this fragrance is anything but "thick", perhaps a little penetrating. At least he doesn't arouse any associations with shower gels or detergents in me. It doesn't hurt me to play Aventus, but I just find it rather boring. It just doesn't kick me when I sniff my arm. Aventus to me is like some jeans I put on in the morning. I don't give it much thought. The fruity component is personally too much for me and for the freshness I prefer I have other favourites from L'Occitane to Bulgari to Acqua di Parma. So the Aventus hype remains quite a mystery to me, especially because of the exorbitant price you have to pay for the original. 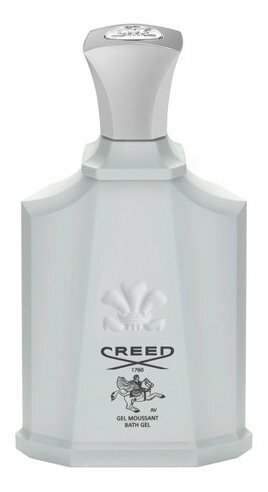 I'm not a special Creed fan anyway, because I think the fragrances of this brand are quite overpriced because of their one-dimensionality. To say: If I were to find Aventus at the drugstore, I would probably be positively surprised. For me, however, it remains a fresh fruit salad with which one cannot do much wrong, but which lacks spice and character with regard to haute cuisine. expensive perfume? I don't know, I don't know, I don't know, I don't know. You see, Aventus is a difficult subject for me... I often wake up too, look at the 200 Euro bottle and wonder why? Then again, shortly before the decision to sell him again, I smell the spray head and somehow he won't let go of me. It's just as hard for me to let him go. I wonder if it's because I'm not a big fan of fresh scents, that I quarrel with him like that? I might. Will I wrestle with myself for some time to see if he doesn't prefer to make room for something that I really love and 100% suits me? Probably. Difficult and complex subject for such a small bottle of perfume. But isn't perfume that anyway? It's hard to believe scents can do that to you. Actually I wanted to buy 10 to 20 fragrances. To paired with good shoes, a good top, whether suit or leather jacket and styled hair, for all occasions the perfect fragrance to have what 10-20 fragrances in my opinion, perfectly possible. But I find myself dealing more and more with fragrances and becoming more and more willing to spend thousands of dollars on them. But perfumes have something. A perfume, is a memory (as in my Herod commentary). A statement. An attitude. A perfume is a suit, a leather jacket, a good pair of shoes, a cashmere sweater, a luxury watch. And with different scents, which probably all registered here possess, one is able to carry Monday a Rolex, Tuesday a Patek, Wednesday an Omega, Thursday a Hamilton, Friday a Seiko... and that with 5 sprayers from a more or less chic and more or less expensive bottle, I hope you know what I mean. Why is Aventus so successful? Because he's got something. He's got character. He's a statement, an attitude. He's the Rolex of fragrances. And even if you're only wearing thin, inconspicuous watches, someone with a Rolex will run past you, you'll remember. Why do I have such a quarrel with Aventus? Even if it's not my king, it's still a king. Love on the second Riecher! I would like to make it clear right from the start that no detailed description of the fragrance in individual fragrances will follow. Over the years I have been able to test many fragrances, but I am definitely not a "supernose" and a fragrance is always perceived differently by everyone, so I can only speak of my sensation here. I would like to share my experiences with you about this fragrance! Citric start and with a light smoky background....nothing special I thought and put the sample aside and passed it on to another perfumer. Wow... What a smell. It just smelled so creamy, fresh and fruity at the same time. When I found out that it was Aventus, I was simply more than surprised. I can't say exactly why I didn't love this fragrance years ago! Sometimes you just have to give a fragrance some time or not smell it directly on the skin. The fact is that Aventus occupies the room and smells good. Of course I bought myself a bottle (actually even two). I would like to say a few words about the different batches. After numerous hours in forums and Youtubes I was of course also carried away. Unfortunately I have to find out after 3 different batches since 2017: The differences are ridiculously marginal. For every Aventus novice I can only recommend one: Just take any bottle! How big the difference to the vintage batches is, I can't answer. Maybe 2013 was exactly such an old batch to smell, which I didn't like in the end. The durability is unfortunately also not as outstanding as described by some, but also there each skin is different. All in all, it is a wonderful fragrance that knows how to please. The person who brings compliments, as always praised, is unfortunately not in my case what I don't care about: I like him and with the scent you simply radiate a certain amount of self-confidence. Sometimes one recognizes only with the time or in my case on the second Riecher the beautiful things (or smells) in the life! Admittedly, I love this fragrance! When I had a sprayer of Aventus sprayed on my forearm last year and heard this scent DNA for the first time, I experienced an olfactory wow experience. I'd never smelled anything like it before. Even the next morning after the shower he was still clearly perceptible. The fragrance strip, which I had separately given to me, was carefully packed in a zip bag so that I could sniff it every now and then for the following days. Perfume is an art form, as Jeremy likes to repeat more often. This of course justifies horrendous prices, which I am not prepared to pay, but I am too pragmatic. It was not worth 270€ per 100ml to me and it is still not today! So I went looking for clones that smell similar. It wasn't about finding an exact clan. Cause who knows, I might even like a clone better. I liked almost every clone. Compared to the original in my memory there were more fruity and smokier ones. Unfortunately none lasted as long as the original. *t? Another bottling ordered from another Parfumo, this time Batch C4218D01. That's the kind of disappointment! On my skin a shelf life of less than 3 hours, on paper with luck 5 hours. Even my dupes perform better! *t by two perfumos? I think that's out of the question! Rather Creed lets himself be led by greed and thinks he has to sell stretched goods. Creed was finally through with that for me! Who offers such an overpriced product and does not pay attention to deliver constant quality despite the increased prices, I don't buy anything from. Long live the free market and I continue to pay only a tenth for a clone! Even if I always have a travel atomizer with me and have to spray every few hours. I have the choice whether I want to fragrance smoky-heavy or fruity-fresh and am happy to be able to wear this masculine fragrance on any occasion. 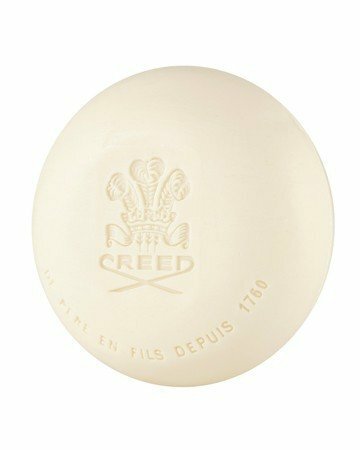 Even if some Creed fanboys tear up all Aventus clones below 100€ per 100ml, I don't smell any difference in quality. I remember the nice lady in the perfumery who talked about the continuously rising prices of Aventus bottles in the past and how surprised she was that this fragrance was bought unchanged. The fragrance has been described countless times, so I spare myself and you a deeper description of the fragrance. I was more interested in the durability of this commentary and, as with all fragrances, I evaluate it very objectively according to the following scheme: For every two hours of perceptibility of two splashes on paper, there is one point, up to 10 hours. From then on there will be one point per four hours. 9 or 10 will only reach those who survive a shower. There you go. Since the older batches last much longer than the current ones, there is a consolation point. After I had quite a success with my first commentary, contrary to my expectations, and the rated perfume was kicked into the barrel by me there, I would now like to celebrate one of my favorites duly for compensation. I'm making a little of it; readers who expect a concise description of the fragrance with the names of the individual components and their proportions in the course are warned here. I have been a member of this great community since February 2019 and my "career" as a fragrance freak certainly resembles many. without me making the most of it. If one was empty, the next came. When I was in the possession of "Terre d'Hermes", I met my girlfriend who said that this fragrance didn't work because it reminded her too much of her father. So I ended up with her looking for an alternative at Bleu de Chanel. During a stay in Paris shortly after, we also bought a great, very own perfume, "Parfum Basque" in the shop of "Parfums et Senteurs du Pays Basque" (if I understood it correctly, Maître Christian Louis creates water-based perfumes there). His shop at Place des Vosges is a recommendation for all perfume-freaks here) . Now I suddenly had three fragrances in my closet. When the "Bleu de Chanel" and the "Basque" came to an end, this community came into play for me. Looking for a fragrance description for the Terre d'Hermes, I ended up here. Longer time first of all as a reader. Wow - what a variety and abundance! Not only on scents, but also on different descriptions and comments. So I wrote down some scents in my mind and went with my girlfriend to the turquoise chain to decide between 2-3 alternatives. 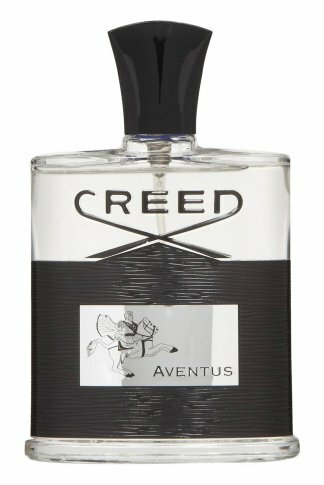 My question whether they also had "Aventus" from Creed was answered in the negative (of course I only got to this idde through Parfumo). Then it became "Allure Homme Sport", which I already knew from earlier on. With the newly purchased bottle in my girlfriend's handbag, we are then in a noble perfumery a few steps further to sniff "Aventus" sample. Well, that's where it happened. This fragrance was so new and engaging to me that I hesitated to buy a 50 ml bottle for more than three times the amount I have spent on fragrances so far. Also my girlfriend was and is very turned on by the smell at me. Since I wasn't a fragrance freak at that time and was a bit shocked about the price I called, I brought the 100 ml AHS back to the chain, which took it back without any problems. The seller obviously understood that the AHS can't keep up with this. In retrospect, this day has become the beginning of my passion for fragrances. Now that I know so many others, Aventus remains unchallenged in his position. I don't mean to say that it's number 1 and nothing else could keep up, but this fruity freshness, paired with smoky, in my nose very masculine attributes, still stands for itself. My girlfriend likes it, but I also get compliments from other noses. I am not yet experienced enough to be able to name the components individually in the process (apart from the pineapple and the bergamot in the top note) and have meanwhile also learned that this can form a picture of a fragrance in the imagination, but that the perceived fragrance is then usually perceived quite differently. As a lover of fresh scents, Aventus can be described as fruity fresh in the top note and fruity spicy smoky in the course. Actually, I just don't have the words for this great perfume. I think it is suitable for all occasions, unless you want to draw attention to yourself with a Mega-Sillage. Aventus (with me) can't afford that and also the shelf life should be greater for my taste. It lasts about 6-8 hours with me, but in the end it can only be seen directly on the skin. It is well known that tastes are different. And with this title I would like to introduce my comment absolutely also. I anticipate a little and say that Creed's bestseller isn't bad, but it doesn't knock me off my seat - given the price. Aventus here, Aventus there, Aventus everywhere. You are browsing on various online perfumery sites ... Aventus, you are reading a little bit into the videos of scented Youtuber ... Aventus. I don't dare to open the toilet seat no more. When I'm talking about a toilet, I can start by describing the top note, the opening a little. Before one or the other of you takes a snap breath and wants to go back to the verbal, keyboard-based counterblow, let me tell him that this association, which takes place in my head, can only last for the first fifteen minutes. The opening is very loud. The pineapple, the bergamot and above all the currant leaf make for an ordendlich tam-tam - similar to the one or other fruity bath cleaner. I think it's all pretty stinging and not very pleasant, but as we all know, you shouldn't let the top note dazzle you too much and judge too early. After about an hour, the sting finally subsides and slightly woody notes, probably caused by the birch, join in. The pineapple remains present, which, by the way, is supposed to be the case throughout the entire fragrance process. The wood makes the scent a little softer and this sour fruit cocktail, which first burned in the nose as if you were dribbling orange juice on the cracked lip, has finally been shown its limits. Top and heart notes remain present for a very long time. I was wondering if there's anything else coming now - something that's tearing me from my seat. What I can say is that the oak moss is able to give the tropical fruit cocktail a slightly green colour. This completes the course of the fragrance and the expensive composition is perceptible on my skin for about six hours. That's okay, but given the prices, I don't think it's enough. The Sillage is quite pronounced in the first half hour, of course due to the top note, but becomes very close very quickly. My conclusion: The fragrance is fine, but I simply expected more, which was perhaps connected with the enormous hype. It is not a product for which I would pay such horrendous prices. He just won't knock me off my feet. This fragrance is that kind of smell that you can dream about. That good it is. That sharpness of a fresh and bit fruity gives it an awesome combination. Great harmony of notes. The drydown is so subtle and yet so pleasant. When I smell or wear this, I feel untouchable. It feels like you are the one, the chosen one. It smells like a man who owns the entire world. This fragrance is the ONLY one that inspired me power. When it comes to performance, for me is quite subtle. Only 6-7 hours and 1.5 maybe pushing 2 hours of projection (but not so strong). Maybe I need to wear it more and let it grow on me in time. I like to wear it for special occasions, because my pocket feels every spray. Pretty versatile in my books, but I don’t like to use it daily or as a signature scent. It is very pricy and if you ask me, it’s not worth it. I think Spring it’s the beast season for this one, but suits summer as well. Aventus, Aventus, you didn't make it easy for me. And yet you made it into my perfume cupboard on a warm Saturday in March 2018. About 6 years ago, or let it be seven, I don't know it exactly anymore, I discovered Aventus for the first time in the famous big D. Since I actually knew the flacons and the assortment of Creed at that time, I was surprised to have discovered a strange one for me. Curiously I looked at him and clearly I sprayed two splashes on my hand pulse. Okey I thought to myself, quite fruity and strong, not bad, but still I am not freaked out. A look at the price tag made me forget him again quite quickly after I had marched out of the big D. But the next morning he was there again - still very good to see on my hand pulse. In the meantime he had changed a bit and I liked that. But at the same time the price tag flashed up again in my memory and I unhooked it again for myself. Actually, if I consider something done for me, I can hold on to it. But at Aventus I should be disabused. Since I often travel on business and allow myself free hours for a stroll through the city, I almost always walk into perfumeries. And every time it was there now: Avenbtus. And every time, I sprayed it on myself. It was fully automatic for me when I saw him somewhere. That went on for years. Not only my interest increased, but also the price. One more reason not to buy it, I figured. From time to time I could get a sample in the perfumeries, which I always use at meetings or other occasions. And hey, I got compliments that flattered me, of course. Who doesn't? ;) But I left it to the sample use. An Aventus bottle was simply too expensive for me. I was bored and drove to a small Swabian town to spend the afternoon there strolling and drinking coffee. Just to go among the people. Sitting waiting at the train station, I discovered a penny right at my foot. "I thought to myself, picked it up and put it in my left trouser pocket. That's what I do when I find money. It's kind of a ritual of mine. At home, found money goes into my lost property piggy bank. The power of habit then immediately after arriving in the town also penetrated me into a cute little perfumery. No one but an elderly lady, who was drinking her coffee in a decorated porcelain cup, was in the shop. After she had greeted me, I spontaneously said what I am like: "I am just in the right place. I'm going to do that later." "Would you like one?" A Swabian never says no if he gets something for free and so we both drank our coffee while she showed me the perfume treasures of her small but very cozy shop. And as it had to happen, there was also an Aventus in the shelf. Looking more closely at the packaging, I saw that there was a small layer of dust on top. I asked the lady if she could show me the flacon in the packaging. She did and the bottle looked tip top, even with full contents. Then I checked the batch code with my iPhone, because the layer of dust on the packaging made me a little skeptical. The result blew my socks off: March 2013! "The Aventus is from 2013, so 5 years old" I said astonished to the lady who was still sipping her coffee. "What makes you say that?" she wanted to know. Patiently I told her about the batch and how to check it. A little disbelieving, she looked at the Aventus, the only one she had in her shop, by the way. Plus a 75ml bottle. "Look, this is how you can check it out," and he lifted my iPhone up under her nose. Somewhat cheeky and yes I have to admit, even a bit cheeky, I asked them about it: "And for such an old Aventus they want so much money?" She looked at me in amazement and asked me the counter question: "Young man, if he really is that old, then what is he worth to you? My answer was short and sweet: "Fifty Euros!". Dead silence. After a minute's silence, she sipped the rest of her coffee, took the Aventus and walked towards the cash register. I couldn't believe my eyes, but I followed her obediently. "Is there anything else you want?" "Thank you, that's all" I answered her and stretched out a 50-Euro bill a little excited. She checked him out, typed €50 into the till, it opened with a bell and my bank note disappeared. And then I disappeared with a gentle heartbeat and the words: "Many thanks for the coffee, the great advice and the Aventus". Outside, I felt like I was dreaming it all. But no, it was pure reality. In the next best café I sprayed my 50-Euro-Aventus on my pulse for the first time and from then on I liked it all the more! I wear my Aventus about once a week. Either in the office, or on business trips, or just in your spare time. Just as I feel like it right now. My 2013 batch starts very fruity and strong and then turns into a smokier tone. To go into the individual facets of the changes or to focus attention on the fragrance pyramid has already been done by others before me. On my skin, it lasts a very long time. 8 hours and more is an easy going. Even the next day I can smell it. In summary, I can say that Aventus is already a good perfume. But I find the resulting hype exaggerated and Creed's pricing policy almost cheeky. Especially since the 75ml bottle is no longer available and you have to pay the same, if not even more expensive price for 50ml. But what soll´s. I paid €50 for my Aventus and it is worth it. I'm sure you've smiled a lot while reading my commentary. I have to every time I think of my story and also Odyssey with Aventus. But that's how life plays. It's full of surprises. You just have to get involved and be spontaneous and "cheeky" in a positive sense. I would now like to conclude my comment with a wink as follows: "He who does not honour the cent is not worth the Aventus". I picture pineapple rings grilling on a smoky barbecue. Very nice. Wearing Aventus reminds me of that story about John Lennon being asked if Ringo was the best drummer in the world. "He wasn't even the best drummer in the Beatles" Lennon replied. Aventus, anointed by many as the ruling monarch of men's scents is undoubtedly a great fragrance –versatile, masculine, modern– but to me it's not even Creed's best. They say there's no accounting for taste and both fans (I confess I am one) and non-fans of Aventus should be thankful for that: delicious as they are who wants to live in a world where every man smells of smoky pineapple rings? Actually, I should be preparing for my upcoming exams right now. But all too easily I let myself be distracted by my perfume collection and sniff here and there. Just when I saw dear Aventus standing on the shelf. Aventus was my first niche fragrance and I remember exactly when I unpacked the 50ml bottle the year before last, sprayed the fragrance onto my wrist and inhaled it. "And it was summer," Peter Maffay would put it that way. This sharp-edged and crystal-clear, tingling fruitiness made my synapses crackle. In my mind I had to think of bubbling champagne, pouring it right after the cork popped. I'd never smelled anything like it before. In addition the woody, slightly smoky note, which becomes stronger later. It's like smashing a lemon and a pineapple with full force against a slightly scorched birch tree and then smelling the tree. Simply fabulous! The bottle was empty before the end of summer and as a student I'm not always so financially liquid, so I mourned it until I ordered it again last summer (this time the 100ml bottle). It was also exam time and the scent gave me self-confidence to master the exams. The temperature made me feel the scent in my nose again and again, as did other students who asked me what perfume I had on me because they liked it so much. I had again the same experience as in the year before. Aventus no longer smelled so good to me. It smelled good already, but in my opinion it didn't stand out from my collection of fragrances, which has grown more numerous so far. I didn't get any more associations when I smelled the scent. I have a certain image in each of my fragrances in my head when I inhale it. Then I also choose my perfumes; according to the image or the associations they evoke in me. At that point there was nothing left. Did I wear it too often, perhaps? Am I so used to him that he's nothing special to me anymore? As it is said of sudden millionaires for whom wealth becomes boring after a while? During the autumn and winter I put it to the test several times, but my impression was confirmed again and again. So I didn't use it anymore and switched to my autumn/winter fragrances like Tom Ford Noir Extreme or Swiss Arabian Shaghaf Oud Abyad, Rasasi Shuhrah or Rasasi Faqat Lil Rijal. Or to my other favourite of Creed, the Viking, where I see myself in the position of a Norman on his longboat, who is caught in the nose by the aromatic rotten wood of the boat, on which he breaks out of the fjord into new raids. For me an all-year-round all-rounder. Just now I was disappointed again when I saw him (the Aventus) standing there so lonely during the previous walk and I sprayed him on myself. He just doesn't flash me anymore. But I don't think I like the smell in cold weather and it doesn't unfold the way it does in warm temperatures. Since I was so taken with him for two consecutive summers, I assume that this fragrance is made for spring/summer. Now in winter I am drawn to warm, sweet, resinous and smoky oriental scents. Outstanding in summer, extraordinary, stunning (a 10). In winter somehow out of place and extremely uninteresting (a 7). What about the season for Aventus in your country? Do you wear it all year or do you have any preferences? Not mine at all - maybe yours? I have already smelt the Aventus several times and also a bottling of it. Short and sweet - I don't like him. He constantly reminds me of my father's perfume and whether it's Otto Kern irgednwas or Cool Water..... horrible. For someone aged 45+ certainly a beautiful fragrance but not for a mid-20 year old. The pineapple comes through strongly - I have to stress that I don't like pineapples. It is certainly of high quality in terms of craftsmanship, but I simply have an aversion against this fragrance personally. There's something about this scent that bothers me so much. Whether the price is justified is up to you to decide at this moment. In my eyes unfortunately not. Maybe this fragrance will become a candidate, which I should get out of the cupboard again in a couple of years and which then enchants me. I'm afraid he can't do it at the moment. Too bad. "I'd like to grow old with you, but there's no hurry..."
based on the reactions from my personal environment, he seems to fit me like a tailor-made suit. but I wear it only on special occasions, because it is something special for me . In my eyes Creed has created a masterpiece par excellence ! Tastes are different, as you know, he meets mine completely! 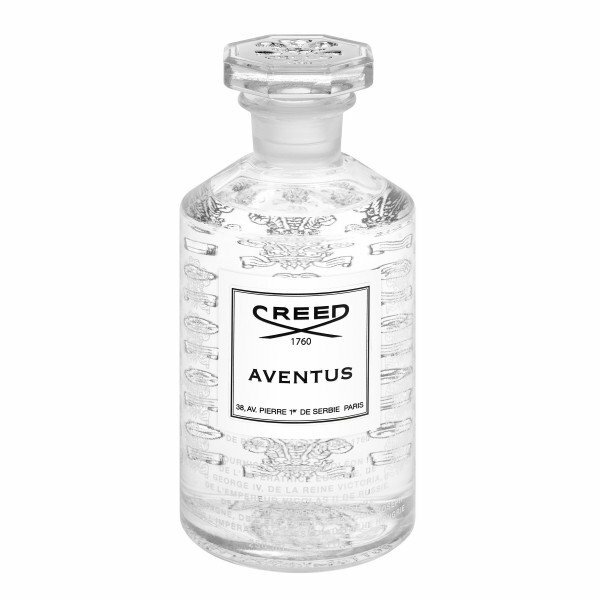 The title of this commentary, are the associations I always have when I smell Aventus Creed. Despite the different batches, I always know that it is the Aventus. I have had and tried different batches. All hold 8 hours +. One a little more fruity, the other a little smokier. I have a very fragrant-eating skin, but this fragrance lasts, even if you don't notice it anymore, others will feel its presence. On the Internet a mainstream fragrance in real life does not. You meet him very rarely, but when you meet him, you are almost killed by his titanic power. If one enters a room of approx. 30 sqm, the room becomes the residence of Aventus. 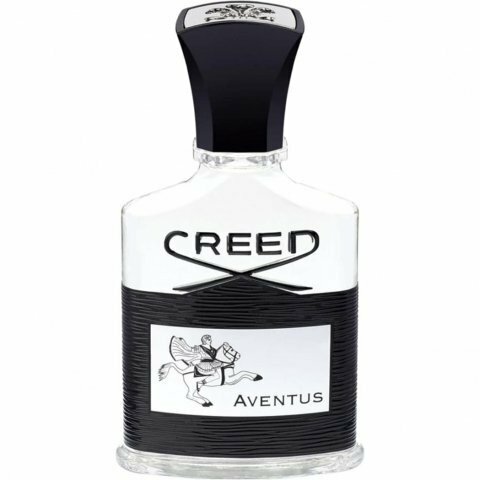 Anyone who enters the room knows immediately that the room belongs to Mr. Aventus. Some say nothing, others smile and look where Mr. Aventus could be and others wave their hands in front of their faces, apparently feeling disturbed by Mr. Untouchable. 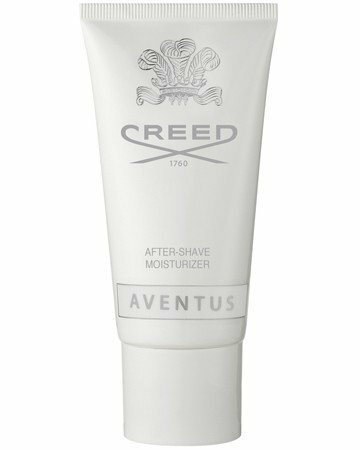 Once you start the day in the morning with Aventus, you won't get rid of him so quickly. Mr. Aventus should be a mystery and no one who is there daily, otherwise the mystery dies and the boss becomes the annoying boss. A successful boss is not in the office every day, but is very rarely seen. This should also be the case for Aventus. You must be strong for Aventus, for he is perfect. So perfect, people find him disgusting. The most expensive thing about you should not be Aventus, but maybe your watch or your H. belt ;-). Choose him carefully and don't make him your signature, otherwise you will radiate an unimpeachable arrogance, unless you absolutely want it. No perfume smells like Aventus, it is a mixture of a fruity freshness and a dark smoky note. I take it to the gym from time to time, often when shopping or on special occasions. At the gym, I do people a favor. In the office I would only radiate arrogance, when shopping it is optimal. Do I like the scent? Yes, even very. Do I hate him for his performance? Yes, unfortunately always more. I have also tested the clones in the meantime and now only own the fruity adventurer. Aventus, on the other hand, has disappointed me. Our first encounter in a food discounter was probably a memory I will never forget. As soon as I was inside a fragrance cloud came towards me, a smoky-fresh note that I had never smelled before. I wandered through the discount store and found the origin of the fragrance in the cheese department. A middle-aged gentleman with a white shirt and black trousers was a walking scent bomb with the inscription "don't touch me, just enjoy". And as I enjoyed it, I didn't yet know anything about Aventus' different performance. I bought it a short time later and only after that I read about the different batches which differ enormously in their durability and fragrance. I had a fruity taste with a very faint smoky note. Unfortunately, the durability was not exactly Top and the Sillage also not. Meanwhile I possess a better batch but it annoys me with such a price not to receive the quality that one wishes. Pineapple and currant at the beginning together with patchouli. A start that radiates passion and always gives you the desire for more. For me, however, the dry-down is the highlight of Aventus: as if the fruits were stored in a box that was previously filled with smoke and sealed. The woody notes are carried by the birch and oak moss and convey a very intrusive nature that demands attention. He definitely has mine! An absolutely interesting fragrance, very sporty, very fresh and in the finish very masculine, indescribable the finish. A super fragrance "will always be in my collection. I remember exactly when I had the Aventus in my hand for the very first time. I didn't think much just a little curious about the fragrance because of jeremy fragrance. I took off the cap at the department store and put the first spray on the test paper and the first thing that came to my mind was the car brand MERCEDES. I still don't know why but this fragrance reminded me of a new s-class interior and leather seats. I was flashed. Never smelled such a druft before. He is very manly and looks like the perfect man in the suit. Aventus - my first comment here on parfumo.de. Why Aventus, when everything has already been said? Quite simply, it was my entry into the perfume world 3 years ago and only today I dare to judge him. Aventus sent me on a journey. At first I thought "madness", the best thing I had smelled so far. Then I thought there had to be more and went looking. There is more, much more, and yet Aventus remains special. It is and remains special. I think batch variation is a fairy tale. Minimal deviation at the most. Nothing that does anything to the experience. It is not suitable for everyday use. You don't smell it anymore because you use it too much or too much. Your environment smells it. It fills rooms. Yeah, a lot of women like him. You're impressed because it smells like millions. Don't you look like millions, they're confused. It's a fragrance you're not supposed to wear flashily. He's noticeable, so don't ask if you like him. Keep it for the right occasions, don't make it a signature. Yeah, you can wear it if you feel like it, but you won't always be up to it. This fragrance needs natural self-confidence and nothing should upset you when you wear it. Last but not least... There are very many and wonderfully beautiful everyday fragrances that stress you much less and still support your personality. Find them and keep Aventus for those special moments. Then you can enjoy it too. I already overdosed him and I didn't smell him anymore. I've been using it every day and I haven't smelled it since. I've already been asked about it, although I haven't noticed any of it myself, keep away from it, it's only perfume at the end of the day. You don't have to spend so much money and perfume alone isn't what makes you money in life. It may underline your personality for a day/evening, but it may not replace it. Is it a mistake to buy it today, when the hype is so big and everybody seems to wear it? No, damn it, if you like it, buy it. I don't give a damn who else wears it. He's great, just learn how to use it. Fruity, fresh and citrus. Great scent. The only bad thing is that there are far too many clones out there. Victim of its own success. Everyone's favourite compliment getter from Creed. Nice & pleasant & lovable & well blended & alluring & overpriced & overrated & over cloned!